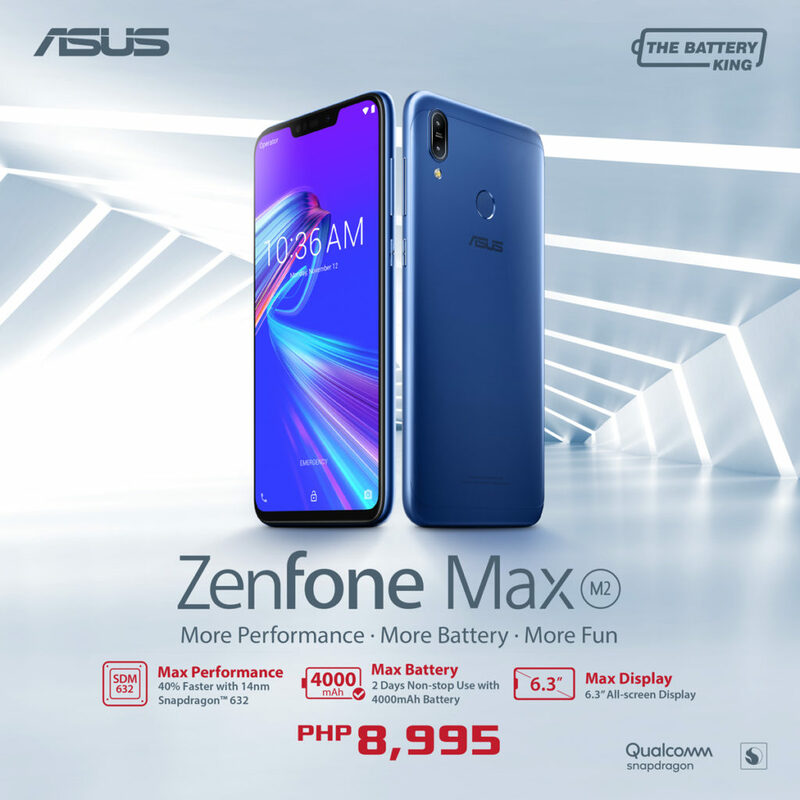 Not long after the successful launch of the ZenFone Max Pro (M2) last December, ASUS Philippines once again listened to their fans and announced the arrival of its younger, more affordable sibling, the ZenFone Max (M2). The latest addition to ASUS’ Battery Kings is a value-packed successor to the M1 model, offering faster performance, bigger display, and improved audio systems. The all-new ZenFone Max (M2) is designed to go further than ever. Its 6.3-inch All-Screen display is bigger, its Qualcomm® Snapdragon™ 632 Mobile Platform is faster in comparison to its ZenFone Max (M1) predecessor, and its signature high-capacity 4,000 mAh battery frees users to enjoy life to the max. ZenFone Max (M2) also has an all-new slim and compact design, with a premium metal body finish. It also includes a convenient triple-slot tray that combines dual SIM slots with a microSD card slot for storage expansion up to 2TB – something that only the ZenFone Max (M2), and no other smartphone in its price range, can offer. This is especially useful for users who have work and personal lines, or those who travel frequently and need the second SIM for a data connection but still want the convenience of a microSD card slot for more photos, movies, and music on the go. 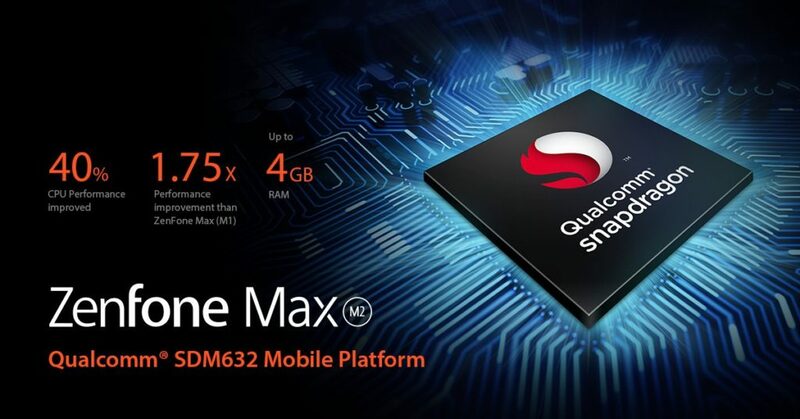 At the heart of ZenFone Max (M2) is the latest 14nm Qualcomm® Snapdragon™ 632 Mobile Platform – a first for any ZenFone – for a smooth and a fluid performance. This is also coupled with 3GB of RAM and 32 GB of ROM. This powerhouse processor delivers up to 40% higher CPU performance and 10% higher graphics performance than the previous SD 626 Mobile Platform. It is also incredibly power efficient, enabling a hassle-free and responsive experience without much impact on battery life. Battery performance is a key part of the DNA of the ZenFone Max series. 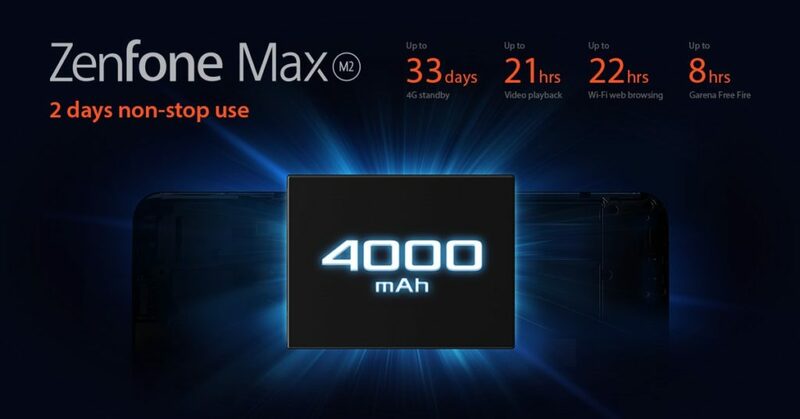 The new ZenFone Max (M2) uses a high-capacity, custom-crafted 4,000 mAh lithium-polymer battery that delivers up to 33 days of 4G standby, up to 21 hours of video playback, up to 22 hours of Wi-Fi web browsing, 8 hours of gaming, and up to 35 hours of 3G talk time. With this much power at their disposal, users can browse more, talk more, or stream their favorite videos all day without having to worry about looking for a power outlet. ASUS’ ultra-dense battery technology also allows the ZenFone Max (M2) to have a slim 7.7mm profile, a noticeable improvement over the previous 8.7mm-thin M1 model. Even though it is instantly recognizable with the same iconic metal design and large battery size as the older Battery Kings, ZenFone Max (M2) is remarkably more compact and comfortable to hold. 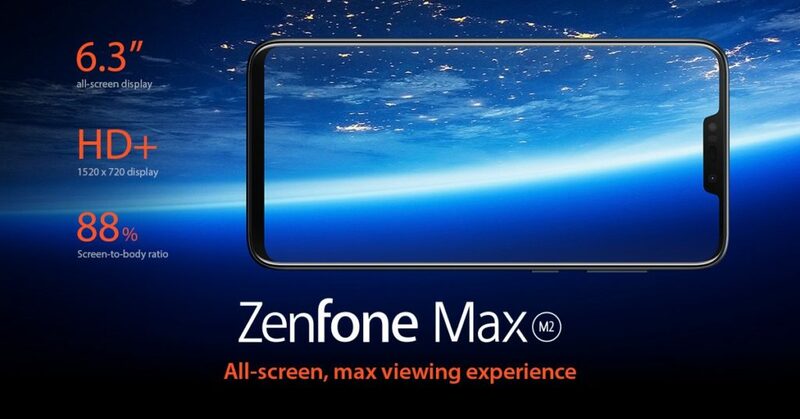 The new ZenFone Max (M2) features a large 6.3-inch All-Screen 19:9 HD+ (1520 x 720) display. Its 88% screen-to-body ratio lets users see more at once, taking the viewing experience to the next level. Whether streaming videos, playing their favorite mobile games, or browsing the web, users will find themselves fully immersed in this new visual enjoyment. 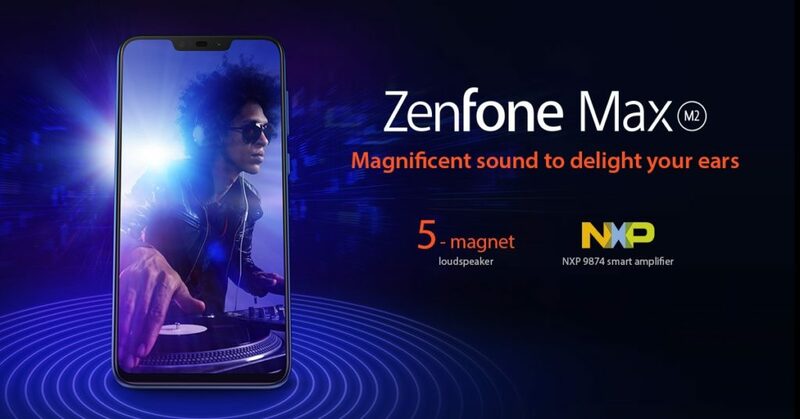 For a superb audio experience, ZenFone Max (M2) now uses a five-magnet speaker with a metal voice coil — a major upgrade over the single-magnet speaker of the previous generation — that’s driven by a powerful NXP low-distortion smart amplifier for crystal-clear sound that’s more powerful and more detailed than ever before. Both SIM card slots support 3G WCDMA/4G LTE network band. But only one SIM card can connect to 4G LTE service at a time. For the affordable price of PHP 8,995.00, fans can enjoy more non-stop performance and battery, as the ZenFone Max (M2) becomes available beginning this month of January in ASUS Stores and Kiosks, ZenFone Stores and Kiosks, as well as accredited multibrand shops! To get further information on ASUS ZenFones, as well as other incredible ASUS products follow the ASUS Philippines official page and ASUS ZenTalk Philippines official page.